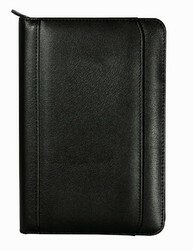 This Junior padfolio is made from premium simulated leather. 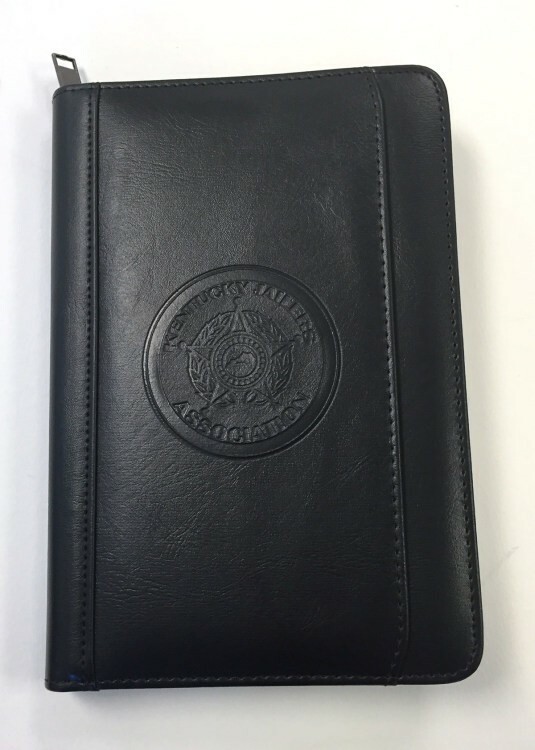 It features a stitched, padded cover with a zipper closure and an exterior pocket. 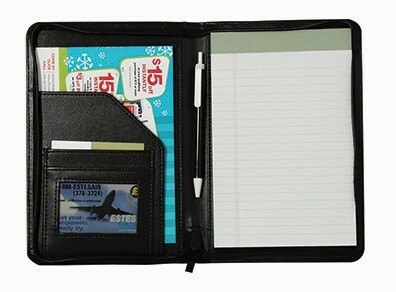 The interior features a pen slot, a writing pad, 2 business card and file pockets. 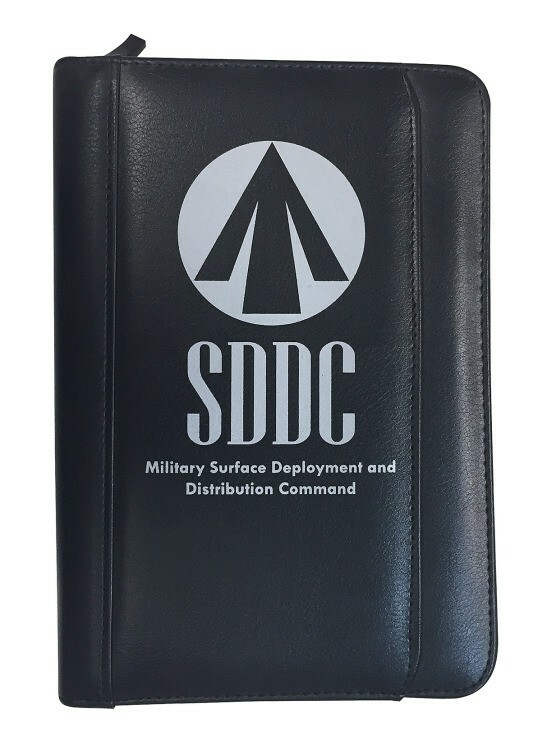 • Unimprinted: 1-2 Days Production Time. 6 3/8" x 9 1/4"